Irish National Stud & Gardens has received a TripAdvisor Certificate of Excellence. Now in its sixth year, the achievement celebrates businesses that have earned great visitor reviews on TripAdvisor over the past year. Certificate of Excellence recipients include accommodations, eateries and attractions located all over the world that have continually delivered a quality customer experience. 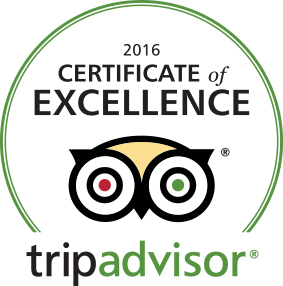 The Certificate of Excellence accounts for the quality, quantity and recency of reviews submitted by visitors on TripAdvisor over a 12-month period. To qualify, a business must maintain an overall TripAdvisor rating of at least four out of five, have a minimum number of reviews and must have been listed on TripAdvisor for at least 12 months. We are delighted to receive this recognition. Many thanks to all our visitors.